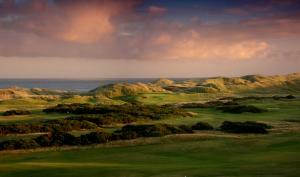 Cruden Bay Golf Club has a very active membership of more than 1000. Our gents, ladies, senior and junior sections offer a full multi-tee competition schedule suitable for players of all standards. We currently have availability in all membership categories. If you wish to join please download the Application form here and send to the General Manager. The 2019 annual subscriptions and initial joining fees are shown below. For those new to the game, or have not been a member of a club for the last 5 years we also offer an Academy Membership – please call for details. Les or Elaine are happy to answer any questions so please don’t hesitate to contact us if you have any queries. Be assured you will receive a warm and friendly welcome. Available to all adults and entitles them to full use of the Clubhouse facilities and in addition can sign in up to 5 guests per visit. Available to those whose permanent address is more than 50 miles from Cruden Bay. Available to players who are resident in the U.K. for no more than 3 weeks per annum.